Usually the things that are most necessary, are the most difficult and outside of our comfort zone. I’m still young and have a lot left I want to accomplish. But looking back on the things that I have accomplished so far, I can’t say that I was comfortable doing any of them at the time. 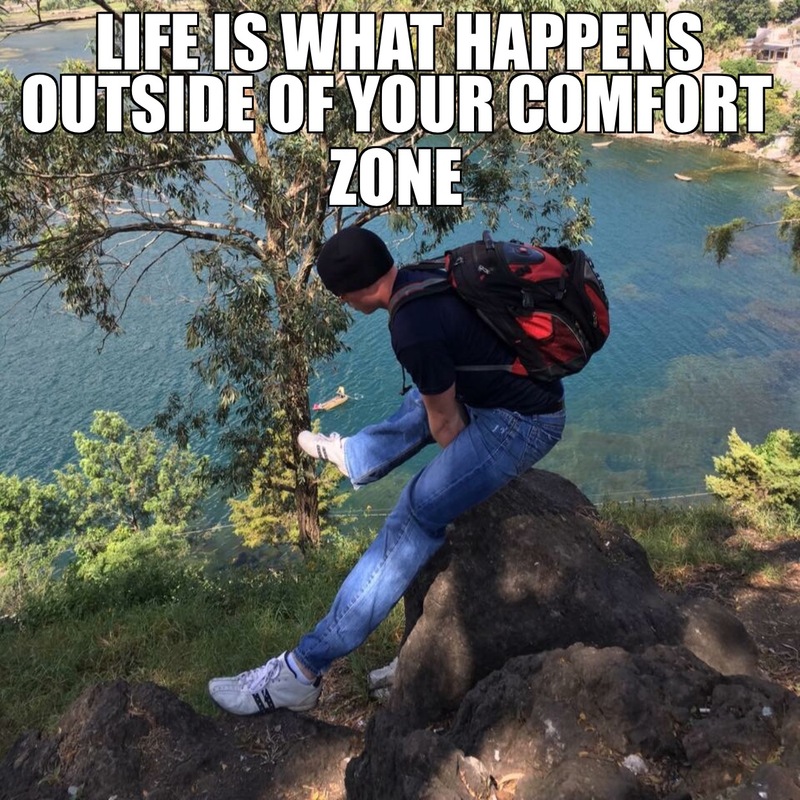 Most of the time I was nervous, anxious, sometimes I was just straight up scared, but I went ahead and did those things anyways despite those feelings. And that’s not to say I haven’t failed. But I don’t regret those failure. I just learn from them, and try again. What is something that you’ve been thinking about doing but are a little nervous about going for it? Take a few moments to visualize what it is you want to happen, make sure your visualization is extremely clear. Then take a deep breath, count down 5…4…3…2..1 and DO IT!!! What’s the first thing you consume in the morning? For most of us, it seems to be coffee is the first thing we go too. But it’s crucial that the first thing you consume in the morning is WATER!!! Why? 1. You haven’t had any water all night. Your body is dehydrated and needs some H2O. 2. Drinking water first thing will jump start your metabolism. Studies have shown that drinking 16 ounces of water first thing can increase your metabolism by over 20%!!! 3. It will help flush out toxins, and more specifically, it will cleanse your colon before you eat (or drink your coffee) anything, which will allow your body to better absorb the nutrients from your breakfast. 4. Your brain tissue is 76% water and is running on low fuel first thing in the morning! It needs those 16 ounces of water asap! 5. Drinking water first thing will help you to feel fuller longer, which should help you to avoid over eating. Most of us don’t drink enough water. So start off each day by drinking 16 ounces of water before you consume anything else. 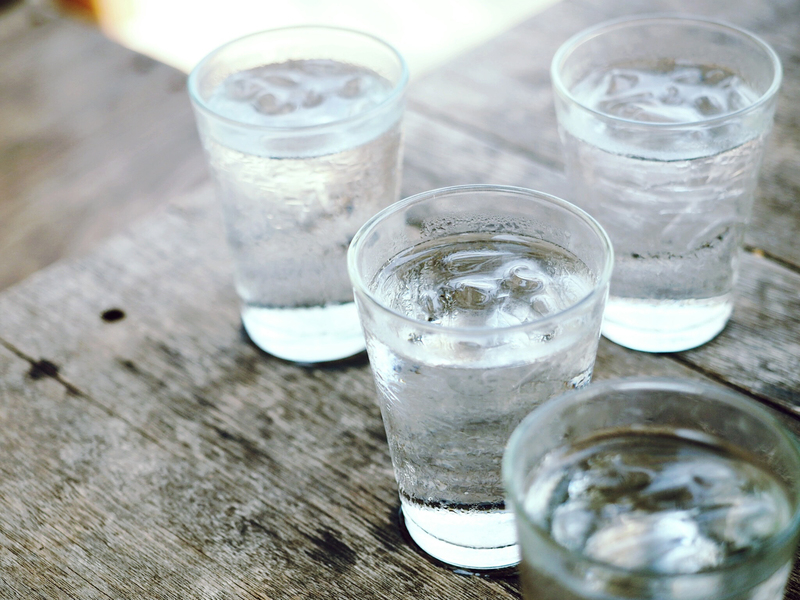 Continue to drink water regularly throughout the day, by the end of the day you should have consumed at least 1 gallon of water, preferably 1.5 gallons!